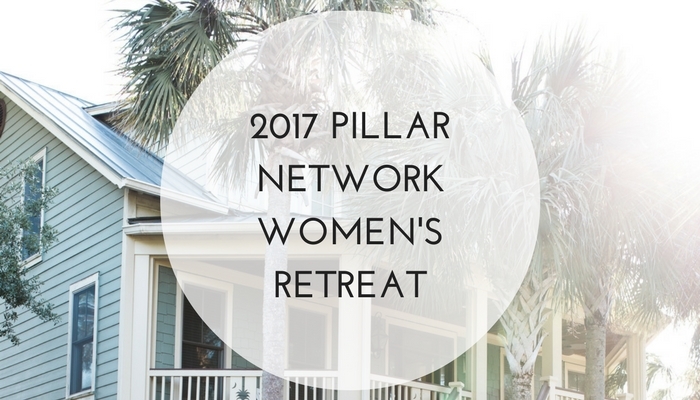 We are excited to announce that registration for the 2017 Pillar Network women's retreat is open! Our desire at the Pillar Network is to care not only for the souls of our pastors and church planters, but also for their wives and for all the women involved in the Pillar Network and in church planting. Our prayer is that this retreat would be a refreshing and edifying time and that it would give women in the Pillar Network an opportunity to be equipped, cared for, and encouraged in their unique callings. Spaces are limited so be sure to reserve your spot today by registering here. The women’s retreat is June 7-9, 2017 in Charleston, SC and it is $125/person and that includes housing, 2 breakfasts, 1 lunch, and 1 dinner. Please email Jennaif you have any questions. We will be welcoming Kelley Ulrich as our speaker. Kelley has been married to John for 27 years and they have 2 children: Elisabeth (23) and Calvin (21). John is the pastor at the Church at Perry Creek in Raleigh, NC. Kelley was born in Wichita, KS and did not grow up in a Christian family. She attended Wichita State University and studied International Relations and Spanish and then God sent her to Africa! Kelley was a missionary for 10 years to Zimbabwe where several things happened: She was gored by a bush pig, charged by an elephant (more than once), attacked by an African door mouse, witnessed some of the most stunningly beautiful and tragically heartbreaking things on earth, and experienced the "body of Christ" for the first time in her life. She likes to say "I grew up in Zimbabwe." Her greatest gifts in life have been unexpected surprises- things the Lord did for her when she had other plans for herself! If you would like to learn more about the retreat, you can read about the details from last year hereand a recap here.